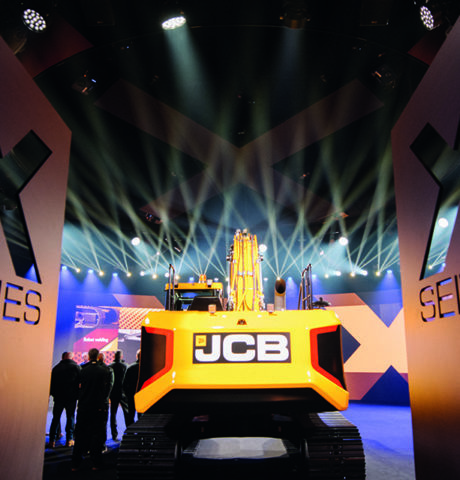 JCB came to us with the exciting news that they would soon be adding a brand new excavator platform to their construction fleet; the JCB 220X would be a touchstone moment in the company's history of manufacturing tracked excavators. To mark such an occasion the JCB team planned to invite their most loyal customers to a day of hands-on experiences with the new machine. Over a six week period over 400 guests would be given exclusive first-hand access to the new vehicle. 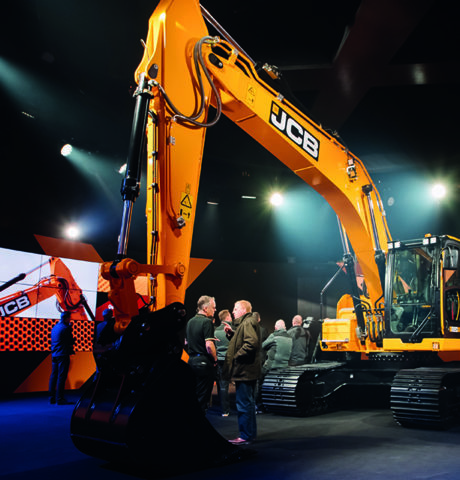 Brighter's role in this groundbreaking project was to produce a walk-through experience that would showcase the best of our creativity and technical production, with the revealing of the new excavator marking the highlight of the day-long event. Our initial challenge was sourcing a suitable venue for six weeks of shows, we optioned the idea of building a temporary structure on the site of the excavator demonstration grounds. The huge 8500 square foot structure would end up being home to over 100 metres of truss, 40 motors including a Kinesys system, over 200 lighting fixtures, 500 panels of Absen LED, and audio equipment to fill a reception room and main room production. 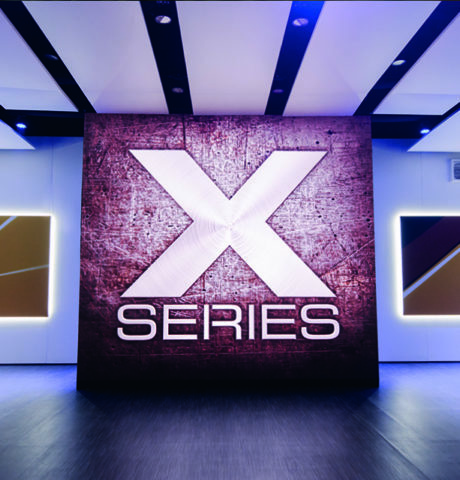 The entire internal fabrication was handled by our in-house set building team, from design to construction. Much of the set was designed to best mask the technical installation, emanating a showroom feel. To ensure the show would run flawlessly each time, we built a fully automated production, designing a show that would fire on call, taking its cues over a midi network alongside time-coded sequencing. The show would start from the moment the visitors arrived; lights, sound and vision would lead them through the experience, with a number of short presentations before being guided to a pause, at which point the reveal would trigger. 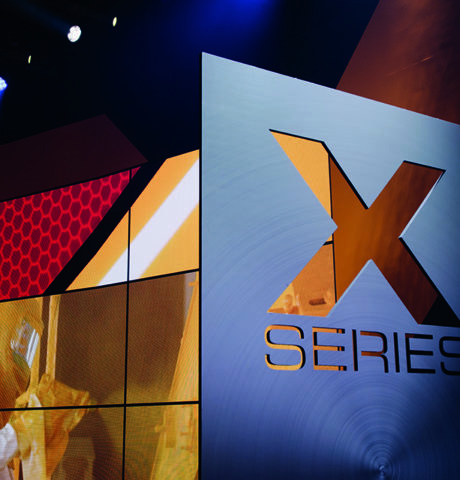 A giant branded banner that acted as a room divide would lift via a Kinesys system, with haze and audio filling the room, lights would begin to dance and video content ran seamlessly.